The window above is on the north wall of the chancel. 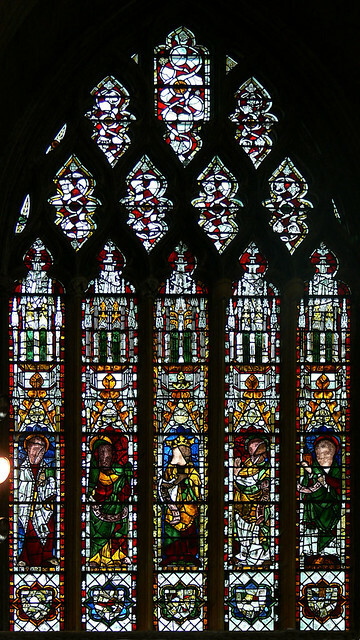 It contains the central figure of King David, and on left is the prophet Aaron, an unidentified prophet wearing a green mantle is between him and King David, to the right of David is another unidentified prophet with a green halo, the final image in this window is another unidentified prophet holding a book and scroll. 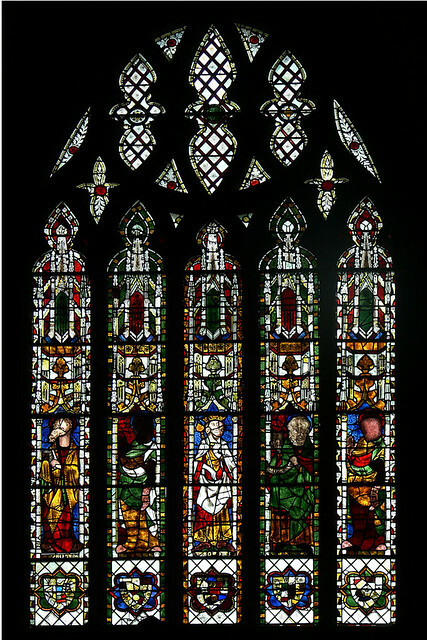 The next window on the north east of the chancel contains a central figure of King Solomon wearing a purple mantle. The bearded prophet Jeremiah is on the left, and next to him is green haloed prophet holding a scroll. 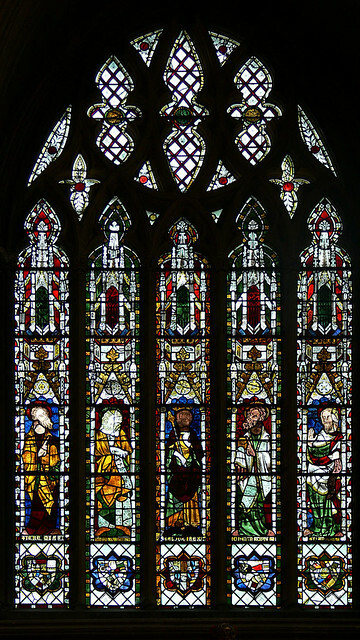 Right of King Solomon is the prophet Joel, and the far right window is the prophet Daniel. 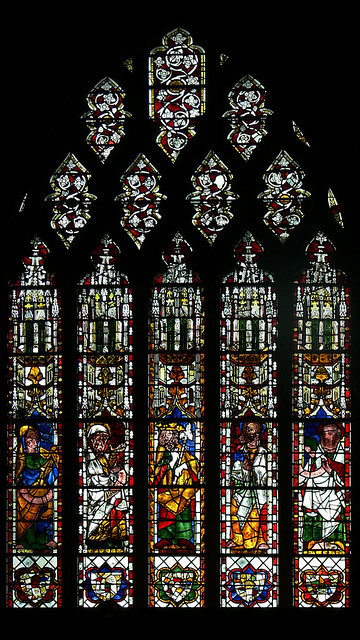 The south east chancel window has a central figure of King Rehoboam, the four prophets in this window are unidentified. The one on the left holds a purple coloured book, and next to him is blue haloed prophet. Next to King Rehoboam is a prophet with a green tunic, and next to him a prophet with his hand raised. In the final window King Abijah is the central figure. Once again the prophets are unidentified. The ones on the left have yellow and white mantles. The prophet to the right of king Abijah holds a book whilst the prophet on the far right has a white mantle.